Leading any change initiative, including the adoption of automation, requires defining and setting realistic goals and objectives. It also involves setting expectations about the changes carried out, the outlook on the future and how everything will likely play out over a specified timeframe. Without these things, the process can drag on, get off track and lose momentum. More so particularly, the goal of any robotic process automation project should be to make the business operate more fluidly and efficiently. If the team leading the initiative isn’t careful, the result could be the exact opposite. It is imperative to choose an RPA tool that is fully integratable to connect and support existing systems for a more harmonious infrastructure. Ajay Agarwal and Hareish Gur, a duo of industry experts who graduated from HBTI Kanpur and BITS Pilani respectively, have been at the forefront of innovation for more than two decades. 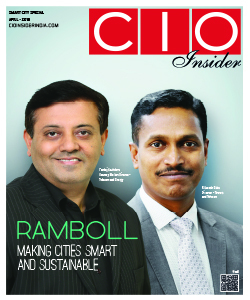 They believed that the producers of technology and consumers of technology often get restricted to 'silos' even as there are opportunities to use multiple capabilities for making a much larger impact. The duo concluded by their observation that the key driver for future growth in automation solutions lies in ‘simple solutions’ to ‘complex problems’. These insights led them to promote Servosys Solutions and take the company to the next level where advances in technology have been combined to deliver huge productivity gains and establish new industry benchmarks. 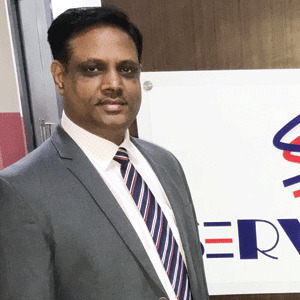 Headquartered in New Delhi, Servosys Solutions is at the core, a Software Product and Technology Services company that provides nonlinear value to clients by connecting and automating critical business processes to core business objectives. The company designs mobility-enabled rapid business application development platforms to achieve the RPA implementation that is simple and cost effective. However, RPA alone is capable of replacing human beings only for certain type of activities that are fixed or predictable in nature. Several other factors still give nightmares in productivity and efficiency. Factors like improper exception handling, physical movement of paper documents for processing, and unavailability of specific documents required by business applications for completing a transaction. While it is obvious, each require technologies outside the pure play RPA, Servosys excels in combining the other technologies, namely, Business Process Management (BPM), Document Management System (DMS), Mobile Imaging or Image Processing for boosting the power of RPA which facilitate straight-through processing and replaces humans with bots. Servosys is driven by the zeal to simplify the processes for the clients to make automation seem the easy road, unlike the popular theory which portrays the technology to be complex to understand and implement. Working on disparate systems is very unproductive, time consuming and prone to errors. Many of our today's IT systems require humans to carry out mundane activities like data entry, validations against masters, transfer of data from one system to another, and so on. For such activities, specific bot delivered by Servosys Solutions (a virtual employee) outperforms a human on productivity, throughput, quality, error rate metrics, and also protects clients’ interest against regular wage inflation and data security threats. parallel robot instances get initiated on the Server to perform the requisite job simultaneously. RPA is known for operating on UI much like a human being would thereby allowing integration of disparate IT systems without any need for human intervention, making the process completely seamless. However, contradicting the popular theory, Servosys Solutions’ Director Ajay Agarwal, believes that true benefits of automation can come only after the customer takes a comprehensive approach and lets other technologies like BPM, DMS and Mobile Imaging play their role apart from RPA taking the charge alone.In an instance, Ajay’s thesis comes alive. One of the leading bank groups sought a solution for sanctioning Consumer Durable loans in just a minute and set a new benchmark of competitiveness in the dynamic lending business. This objective was not looking at any success in the horizon with just the RPA in place. Servosys designed a solution that completes end-to-end business process after filling of the Loan Application on Mobile App. Stepslike eKYC, Credit Bureau Check, Anti Money Laundering Check, Underwriting, Exception Handing, Approving/Rejecting of the Loan, were included that completed the cycle in just 1 minute without any human intervention. For customers demanding Servosys’ products for critical portions of the end-to-end RPA solutions and using existing or open source software components for non-Critical portions, Servosys has opened their arms wide to help them bring down their TCO. “We are taking the automation solutions to the next level through innovations and by allowing the users to leverage their existing investments in technology”, explains Hareish Gur, Director, Servosys Solutions. With such comprehensive approach to technology enablement, Servosys Solutions is skyrocketing in the Automation domain.